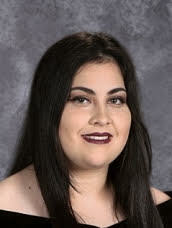 Ashley Soltero is the 18-year-old daughter of Rocio and Jose Soltero and is a 2017 graduate of Friona High School. She plans to attend South Plains College in Levelland to major in business administration. While attending Friona High School, she participated in the Chieftain Band 4 years and Choir 2 years, advancing to state in 2015. She participated in Family Careers and Community Leaders of America 3 years, won three silver medals in 2014 and a gold medal in 2015. Ashley participated in Tennis for 3 years and Pride Tribe for 3 years. She was voted Class Favorite her junior year. Taylor Ashlyn Stallings is the 18-year-old daughter of Trista and Tommy Stallings. She plans to attend Texas Tech University Honors College to pursue a career in physical therapy. Taylor is the valedictorian of her 2017 graduating class. 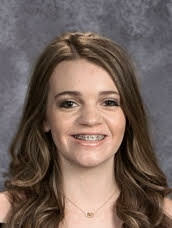 While a student a Friona High School, she was a member of the National Honor Society and the National English Honor Society, had 90 or above 4 years. In addition, she participated in UIL 2 years, Choir for one year, Volleyball for 3 years, Basketball for 4 years, Track for 2 years, Cross Country for 1 year, Cheerleading for 4 years and Pride Tribe for 3 years. Named Miss Friona 2015-16, she was a Journalism regional qualifier and state qualifier in 2017. Taylor served on the Student Council for 4 years. She was a three time All-American Cheerleader, Honorable Mention Basketball, 1st Team Academic All-State Volleyball and Basketball, Top 10 High School Heisman Athlete of Texas. Named Most School Spirited 2014, 2015 and 2016.